Seminal surf documentary The Endless Summer opens with Bruce Brown's voice announcing that "summer means many different things to different people." 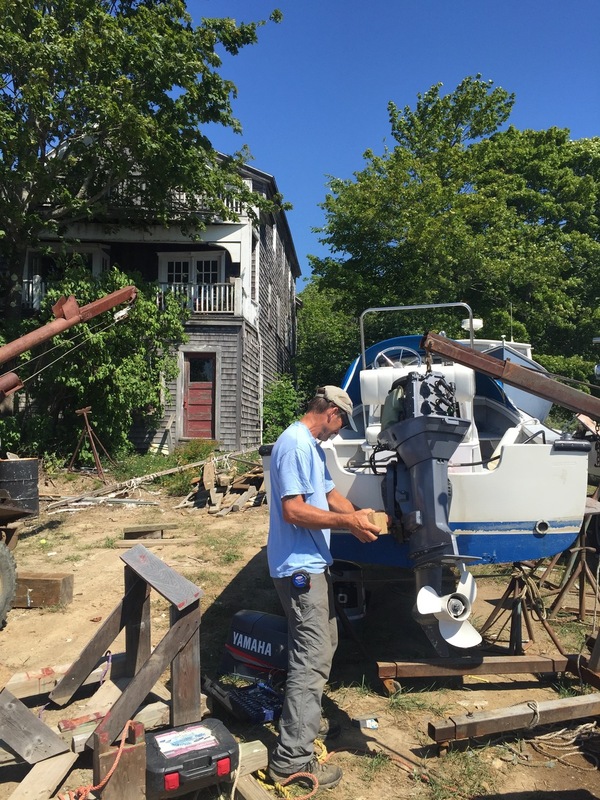 To some on our little island it means the cool bite of salt water at high tide, to others the verdant birth of produce, to Foy Brown (and associates) it means long hours bent over an uncovered outboard engine. There are plenty of reasons that the folks at JO Browns will remove an engine cover: might need an oil change, maybe the engine block burst, one of the connectors on the wiring harness came loose or any other electrical mishap. Most of the time however the culprit is bad gas. Gas turns bad on its own and quite quickly, we're going to (attempt to) explain what, why, and how quickly this happens then we'll talk about what you can do to keep your outboard on the water and Foy's hat tan from getting much worse. In 2007 congress passed an energy independence act which required (or incentivized) states to dilute gasoline with 10% corn ethanol. Partly this was to offset dependency on foreign oil but mostly it was a way to get rid of the absurd amount of corn that we grow as a result of subsidies that were intended to feed post-war Europe and great-depression/dust bowl America but have turned into payouts for a small number of large-scale commodity crop growers. What happens (roughly) is as the day cools off into night condensation collects in the tank (like dew in the grass). It isn't a lot of water, and much of it will evaporate with the next day's sun; but some of it will fall into gas. This water will bind with the water molecules already present in the gas, accelerating the phase separation. Each day the process repeats and the phase separation continues to accelerate, pulling more water away from the alcohol. Water is heavier than both gasoline and alcohol, so as it separates it collects in the bottom of the tank, where the engine draws the gas from. As we know, water and internal combustion engines don't get along very well. If your engine is carbureted the water that gets run through the engine will collect in the bowls of the carbs restricting fuel flow, choking the engine. If the engine has injectors the water will collect in the VST filter, causing fuel flow problems and potentially clogging the injectors. To clean carbureted engines Foy and co. remove the carburetors and take them apart in a process that resembles dismantling a wrist watch. The metal parts are placed in an ultrasonic bath solution for half an hour, rinsed in water and dried with compressed air, then the carbs are reassembled. Once the carbs are reinstalled they replace the in-line filters, and clear every fuel line before putting the engine back together. Once it's all been cleaned they dispose of the old gas, clean the tank with diesel, and pump good gas through the engine before it's ready to go again. Injected engines are a little bit more complicated. The VST filter can be removed and cleaned, but the injectors are so small that to be properly cleaned they need to be hooked up to a computer system and electronically opened before being flushed with a cleaning solution. Much of the time simply blowing air through them will do the trick, but if the mesh filter is really clogged up the engine needs to be sent to a dealer to be revived. Every time bad gas gets run through an outboard the yard spends painstaking hours cleaning the engines out, amasses more barrels of now useless gasoline, and another boater is landlocked until it gets fixed. 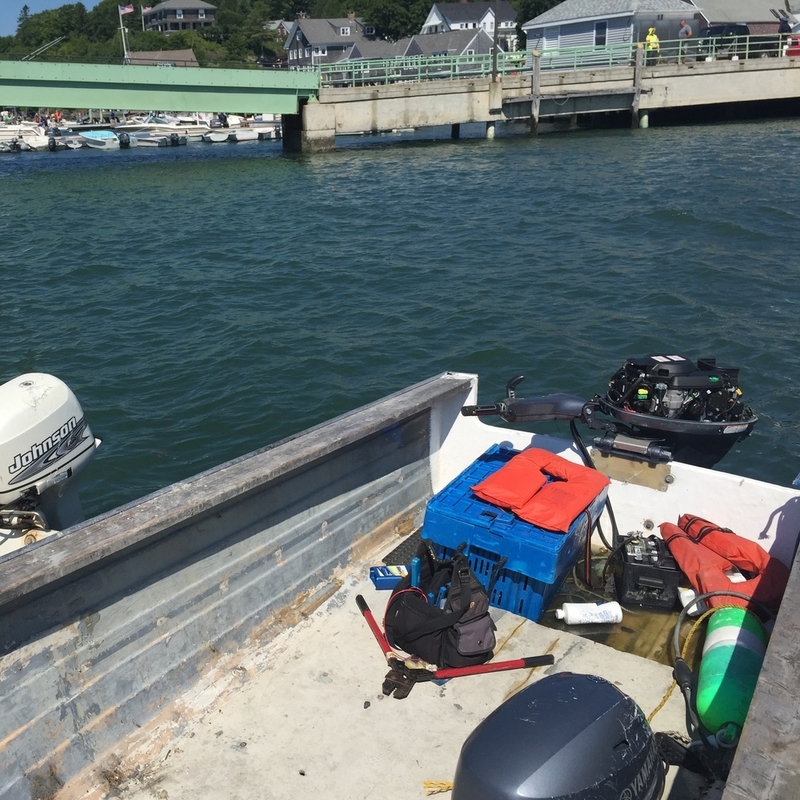 This is to say that nobody wins, but, there are a few simple things we all can do to keep our outboards skipping through the thoroughfare. don't use old gas: if you find a tank with gas already in it don't run that stuff through! *If your boat has an inboard tank the ventilation tube that runs to the deck is more likely to provide a buffer in which condensation can collect and then evaporate without coming into contact with the gasoline.